Samantha is here on behalf of the team to wish you all a very happy Monday! Now, we know not everyone is as keen about Mondays as I am (I can practically see Jenny and Melody nodding in solemn agreement halfway across the world), but today, I’m very pleased to announce the giveaway we’re holding in anticipation and celebration of the upcoming Regency Love release. This time, we decided to choose three very theme-appropriate prizes: cotton handkerchiefs (with pre-embroidered flowers—alas, we’ve not had much time to practise our needlework) accompanied by a hand-written letter. 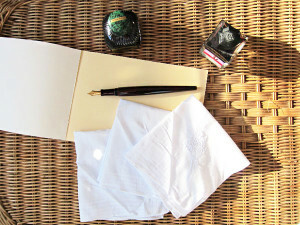 And just for you, I’ll be working on my penmanship till then (now there’s a thought for a future accomplishment). I’ll also post to anywhere in the world, so this giveaway is open to all! To enter, simply answer the question on the following form. (Hint: If you’re a little stuck, you can find the answer on our previous blog post.) You can also earn more entries and increase your chances of winning by helping us spread the word through Twitter and Facebook. 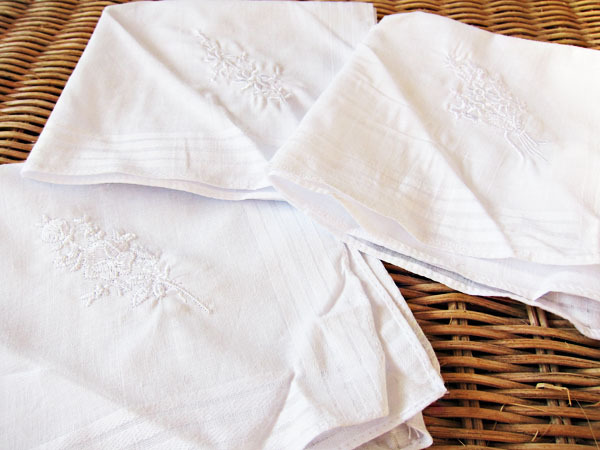 The handkerchiefs! Granted, they need a little ironing, but I suspect they’ll be a little crumpled when you receive them. Entries close on 1 May, and winners will be contacted within a few hours afterwards. We wish you the best of luck—and an awesome Monday! 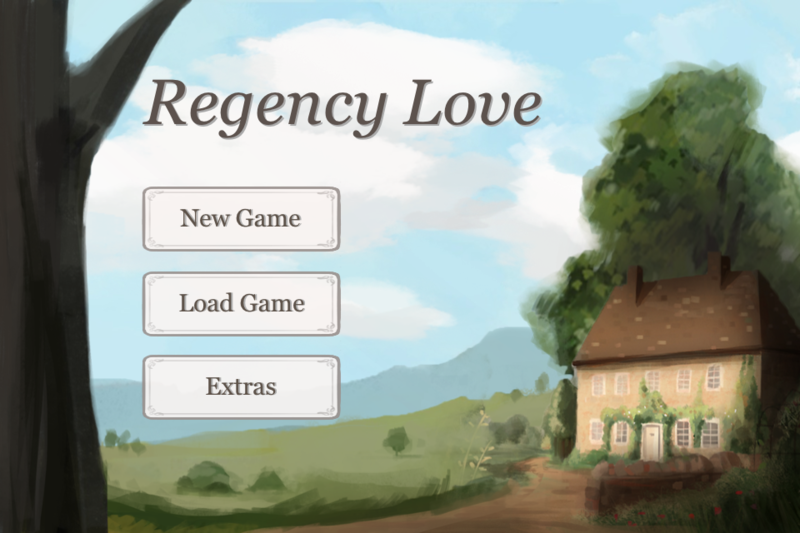 We’re absolutely thrilled about releasing Regency Love on 16 December, and want to celebrate by hosting our second giveaway: a free copy of the game! Don’t have an iPhone/iPod touch/iPad? Not a problem! You can still give the code to a friend or relative to redeem your free game, and perhaps borrow their device for a little (or a long) while. Simply answer the easy question on the following form to enter. You can also earn more entries and increase your chances of winning by helping spread the word through Twitter and Facebook. Entries close on 16 December, and winners will be contacted within a few hours afterwards. Good luck! To celebrate the upcoming release of Costume Theatre on 15 June, as well as our upcoming event at the Pride and Prejudice Festival at Lucy Cavendish, Cambridge, we’re hosting our first giveaway: postcards from Jane Austen’s House Museum! Simply fill out the following form to enter! Entries close on 19 June, and winners will be contacted within a few hours.